Online ordering menu for Maru Sushi and Grill. 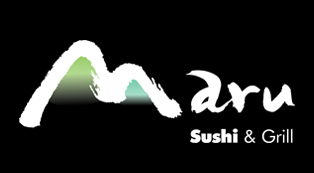 Maru Sushi & Grill is an eclectic sushi bar and restaurant that serves both modern and traditional sushi, sashimi, as well as salads, cooked appetizers and special desserts! Start your meal off with some of our appetizers including our Garlic Edamame, Poke Tuna, and Sushi Sampler! Work your way to our Misoyaki Chicken or our Yaki-Soba meals. If you're in the mood for all things sushi, you have chosen the right place! Enjoy our wide selection of all of your favorite sushi, made from the freshest of ingredients! Find us in Prairiefire shopping area at 135th and Nall, right next to Pinstripes and around the corner from Cinetopia. Order online for carryout and delivery today!